The concept of applying the artistic process to other facets of life—such as business and personal fulfillment—is nothing new. But often this notion is applied in lofty, general terms and boiled down to some buzzy phrases. However, anyone who has put deep time and commitment to an artistic work will know that its benefits defy idioms and slogans. 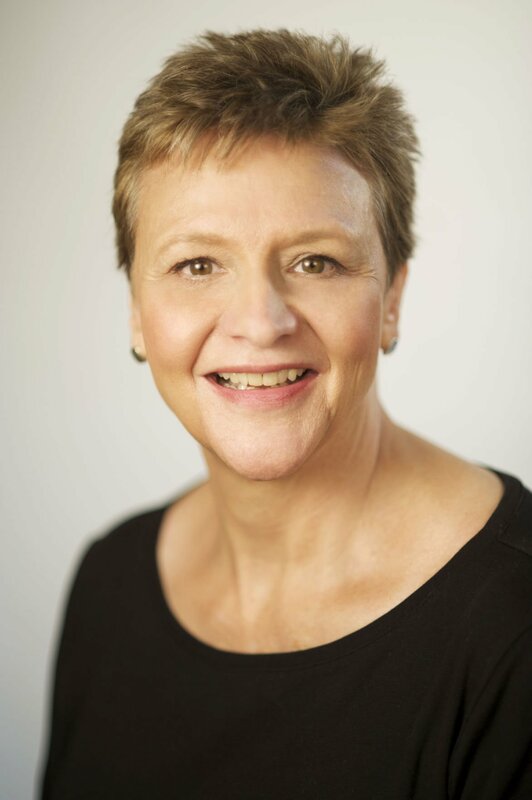 Patricia Hoy, who was a 17-year professor and administrator at Northern Arizona University in the then-called School of Performing Arts, has taken on the big task of looking at the multitude of ways understanding the artistic approach can inform and enrich people beyond the studio. 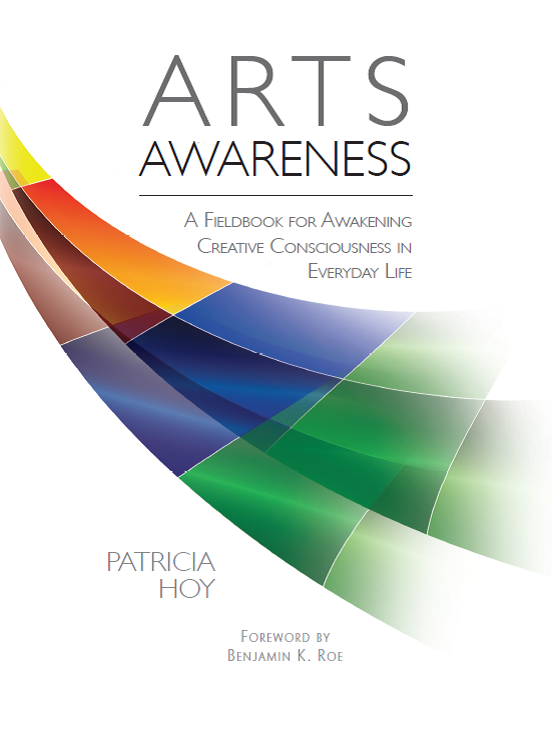 Her book, Arts Awareness: A Fieldbook for Awakening Creative Consciousness in Everyday Life, is 250-plus pages of diving into seven core concepts of creative consciousness and unearthing valuable connections. Hoy took time out to talk with me by phone from her Scottsdale home about the new title, published by GIA Publications. The book also goes beyond the pages into a modality of philosophy and thinking that is explored on her website. Learn more at www.artsawareness.com. Seth Muller: For anyone who has not crossed paths with your book, Arts Awareness, can you describe in your own words what this book is about? Patricia Hoy: I’ve been keeping notes on my observations for all of these years. I kept sticking them in a drawer. About seven years ago, I started seeing these connections and patterns with all these experiences … I never wrote a book before, but I began looking at these notes and I noticed how some of them were related. I started to sort hundreds of pieces of notes and drawings into piles. Then, I started writing about the stuff in each of those piles. I found I could just write down my thoughts, and that’s how it started … At the end of six months, I had written 50,000 words. I continued that process and I started refining and working on what these concepts were. And momentum built from there. As you put together this book, did you have a thought as to who your primary audience might be? Who was it and why? I think initially my thought was that the book would be written for openly creative souls and seekers. If you look at some of the comments from people who wrote the blurbs, they come from a variety of arts disciplines, and the book helped them. My goal was to be accessible to anyone who was open to growth and wisdom, to any individual who might not know anything at all. I do hope it could be used as a supplemental book in an arts course, as well. Over the last few years, it seems like there has been more understanding and study of what is known as creative intelligence. Can you talk about how you view creative intelligence and in what ways it influences our thinking? The whole world is changing so much. We don’t know what we’re going to be doing tomorrow. It’s going to look so different from what we even know. So, I think that we need to have an entrepreneurial spirit in our lives because of this change that is happening so rapidly. I love the idea that you can take your particular package of experiences in life and combine it and that everyone has a unique story to tell … Beyond arts, culture and creativity, I really do a lot of reading about leadership, management, psychology and strategies. And I think that has influenced my thinking to a certain degree. And the reflective process that is built into arts—boy—is that important in this world today. That’s the creative element that can come to play in all disciplines. I also know there has been talk of an erosion of artistic literacy, with the reduction in funding for arts and music education and the push for teaching to the standardized test. What do you see as dangers of this kind of erosion? I think it’s very dangerous. One of the things we have to do is connect our inner experiences with our outer experiences, which something that arts allow us to do. In the arts, there’s a depth of meaning that you can’t find in a simple process of getting from Point A to Point B. So, of course the arts are helping other disciplines. I’d like to help educators be able to speak effectively to this to defend it. Because the problem is that many of these things can’t be tested. I wonder if we can talk about your time in Flagstaff. How long did you live here? What were your roles and how connected are you still to Flagstaff and folks who live here? I have fond, fond memories of Flagstaff. I was Director of Bands at NAU for 17 years. We had a lot of growth during that time. Gene Hughes, the president, was very supportive of what we did. I was the interim director of the School of Performing Arts and a few years later I was the Associate Dean of the School of Performing arts. I was principle flute from 1986 to 1989 in FSO and principle bassoon from 1989 to 1997. I played in the Festival of Arts Orchestra and conducted one concert a summer. All told, I was there from 1985 to 2002. I really think that my experiences at NAU and in Flagstaff are when I started to formulate my ideas that would lead to this book. I had not done higher education teaching full time prior to that … I grew tremendously in that time.